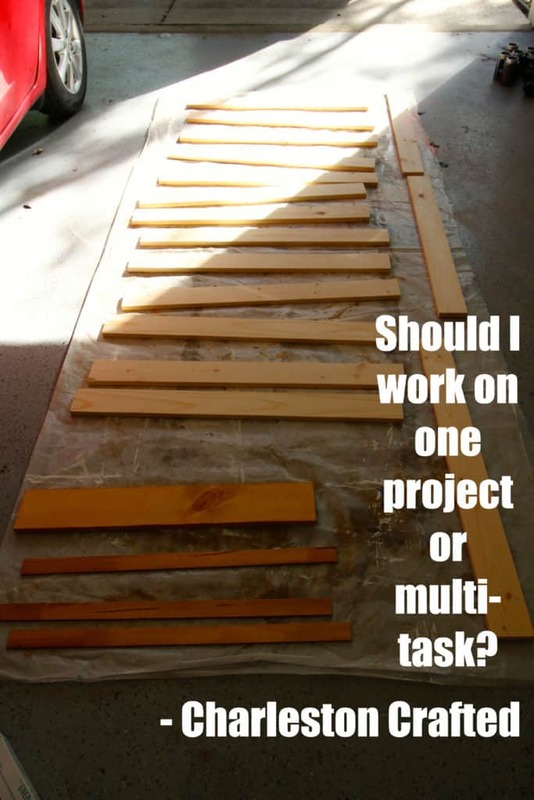 Should I work on one project at a time or multi-task? You are here: Home / New Homeowners / Should I work on one project at a time or multi-task? I often have this internal debate: should I work on one project from start to finish or work on several projects in various phases at the same time? There’s a couple of different sides to this one. One side might say that it’s important to work on one project from start to finish or it will take forever and you might not ever finish. You could get distracted and keep moving on before you finish. Plus you can work on a step, move to the next step, on and on until you finish and make sure you don’t have any issues. Here, I’m working on two different projects at the same time. These two projects are very similar in nature, making it easy to multi-task. One was our new address sign for our house (check that out next week) and the other was our new tall fiddle leaf fig planter. I decided to work on both of these at the same time because they were both woodworking projects, which meant that, at least at the beginning, they have to undergo the same steps of cut, sand, stain. If I worked on just one project at a time, I would cut the wood for one, sand it, stain it and then wait. Then I could move on, but I’ve had to wait to let the stain dry. 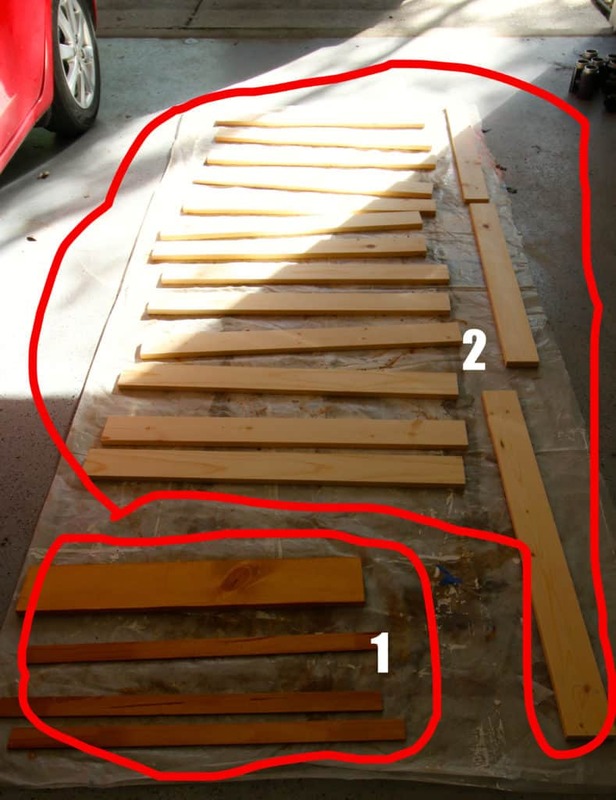 In that time, why not also be cutting, sanding and staining the next set of wood? Doing at them at the same time allows me to get through all the initial steps together, then I can work on each project separately. Working on two projects at the same time can become overwhelming though, so don’t do it all the time. When we were renovating our kitchen, we were also renovating our master closet. These projects were very different, so there wasn’t much overlap on steps, but the kitchen had a lot of wait time in between the big steps (like when we waited on our counters and floors). So in that wait time, we worked on the master closet. It didn’t cause delays, but it was just a lot of really big projects going on at the same time. We were really busy and tired for two months. So when it makes sense, I think working on two projects at the same time is the best way to go to minimize time long-term, but it’s not always the best idea. What do you do? Do you work on one project start to finish or do you mix and match?